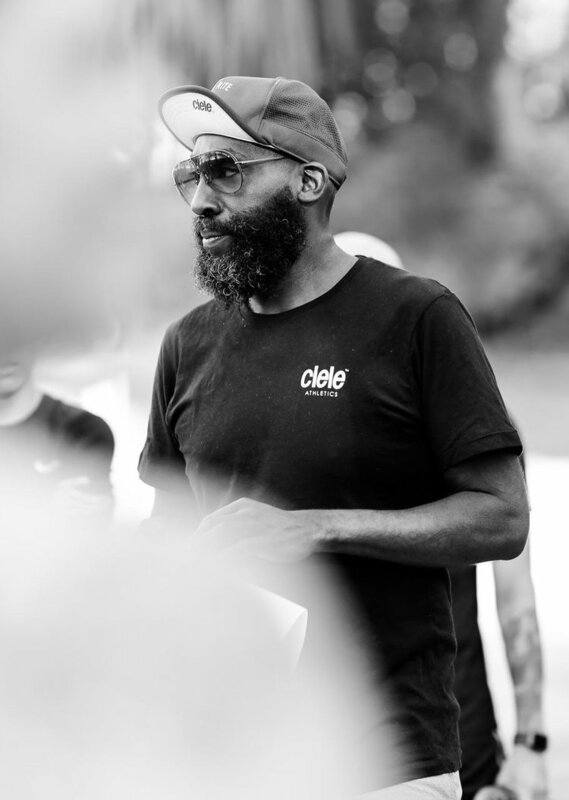 Tai chi practitioner, runner, buddhist, vegan cuisine aficionado, father and all-round loving and compassionate human being, Hakim Tafari, is in charge of bringing mindfulness to the runners of the Koreatown Run Club in LA and beyond. Hakim has long since become a key figure in the mindfulness and running scene in the US. We feel honored to be teaming up with Hakim for a very special project taking place in January 2019, where he will be in charge of taking us on a journey into buddhism, meditation and Qigong, as we discover the amazing and breathtaking land of Chiapas, Mexico. In this feature Hakim shares with us the reasons behind his practice and the role of buddhism and Tai Chi in his life, and how it has impacted his direction and led him to overcome some pretty rough moments. Hakim has also prepared a 5 minute audio meditation for all of us to experience at the end of this feature. What drew you into the world of mindfulness? How did your mindfulness journey begin? Originally I came into Buddhism through Zen, but I came to the whole mindfulness practice way before I really started cultivating the Zen practice. This was back when I really started getting into the inner depths of Tai-Chi, which led me to some people at a Taoist Community in Orlando. This was not quite on the same level as Zen Buddhism but it definitely gave me a inner direction on how to practice mindfulness, on how to practice compassion, on how to practice breathing and the correlating the breath to life and the correlating of the human body as a microcosmic aspect of the macroscopic universe. And tuning that all in together…. I would say, that really changed and evolved many years later, after hitting some very serious times and going through a divorce. This led me to Zen Buddhism and to really cultivating a practice of mindfulness through Zen Buddhism. I would say that for me at the time, it was based upon necessity. It was a must. And really, I would say that Buddhism really saved my life and has propelled me in such a way that I cannot even put into words in the aspect of really enriching my life; learning how to deal with people, learning how to be professional in professional situations and learning how to be compassionate and share love in certain situations. Could you tell me more about how your mindfulness practice has evolved throughout the years and how this has affected your life? As you mature and become more open minded, the more your cup fills so to speak. So, as much as I thought I might have known in my earlier years, as I got older I started emptying out what I thought I knew and started filling up with what I really needed to know. This way I let go of things that didn’t really help me, or put me in a position to help me. And in turn that left so much space for new ideas and new growth, new ways of thinking and ways of putting all that into action. So that helped me evolve. And then of course going through certain things in my life. Experience. When you go through certain experiences, these will alter and change your path in so many ways and angles. Having 3 kids changed me. Going into a marriage that wasn’t successful changed me. Going through a divorce changed me. Being afraid of where my life was going changed me. Meeting a beautiful woman changed me. Moving across the country, changed me. So, in all of these aspects as I grew and as i went through certain situations, so did my practice, and in a way I feel it made my practice so much more stronger. What is the role of running in your life? Running to me is the perfect way to release. It was one of my greatest releases during the hardest times of my life, where I could just run and be with nature, and not have to worry about clocking in, not having to worry about the child support that’s due, not having to worry about how the hell I’m going to eat dinner tonight with only X amount of money in my pocket. I didn’t have to worry about that when I was running. When I was running it was just about me, the pavement, the air around me and the energy that I felt. And in that I felt amazing. I felt recharged. And that just propelled me even more. And then the physical aspect is that you feel good. You become healthier. You become more vibrant. You start losing weight and building the confidence. You become able to bring forward a certain stamina that you might not have had before. So that played an integral part in my life, like my life changed when I started running. For the better. And it came hand in hand with mindfulness, so it made sense. How do mindfulness and running relate to each other? Mindfulness, on the one hand, is a way for you to get in touch and lock into your breath. Your breathing patterns. On the other hand, it is a way to dispel and get rid of certain thoughts that you may have that may trouble you when you are running. The one thing that we tend to deal with is anxiety. We tend to doubt ourselves, we tend to put up with a level of fear. And these all come into play when you run. Especially when we are running in the streets as we are. We are more mindful of the cracks on the pavement, we are more mindful of the people that we are around, the cars that are around, take bikes that are around. You are mindful of the natural habitat, the air around you, the people around you, the sensation of just being free, to smell the air, to have the air breezing through your hair, your feeling. So now you are impacting your health by bringing more blood to the heart which on a cardiovascular level is making you function better and bringing more of a homeostasis to your body. So within that frame mindfulness is key. You are working on your breath your working on your body, your working in your cellular structure and your working on your mind. And from there you can develop into certain stages of mindfulness, where you’re not only just breathing, but you’re thinking good thoughts and those thoughts turn into right actions. And the you’re able to translate that into your stride, your cadence your pace and in turn think about your breath control, which is then bringing an ease to your run, to where you are able to enjoy it, just as you enjoy being able to be mindful about life. Suffering is something that we talk about in Buddhism, where you can ease your suffering when you’re mindful of it. Even if you’re suffering you can be mindful of your suffering and ease it with being mindful. It’s the same thing with running, being able to hear, being able to listen being able to see, these are all key components of being mindful. How did your role in Koreatown Run Club come about? After moving to LA, I started running with them, training for the LA marathon and we quickly became pretty tight, as a family. We had a near and dear friend in common, by the name of Kathleen and that really galvanized the crew. We were a pretty strong unit. By that time I was asked to be captain of the Crew and lead the long runs on a Saturday for the marathon training. Then that evolved into breathing exercises and getting the crew ready, which then led into a little mindfulness practice before our runs, which then led to me leading the Thursday night runs with a good friend of mine by the name of Dyllan Shuller. That gave me a chance to introduce mindfulness and its practice to running and to the LA run community. And then that spawned me teaching TaiChi and ChiGong at the Line Hotel, the location where we start our runs from on a Saturday morning. How does travel relate to mindfulness and running? How can we make travel more meaningful? Getting free... Letting go... Being uncomfortable and putting yourself in certain situations from where you are able to come out of your comfort zone and find out new ways about yourself. When you travel you are in different states. Wether it’d be physical or mental, you are in a different state. So therefore you have to think different. You have to be mindful of all your ways and actions. You could be in Germany, you could be in Bermuda, you could be in Malibu, you could be in Nova Scotia, and every travel experience is gonna be different and you’ll learn from all of these experiences. It goes hand in hand with mindfulness and running. It’s about freedom. The freedom to go anywhere around the world, and run. To meet up with different runners who have the same love and the same passion, who share the same frequency as you when you run. There’s somewhat of a community of us around the world. People that love to travel, that love trying out new things and working out new ways by being out of that comfort level and see what beautiful things happen. It’s growth, it’s maturity. When you get stuck in one position, or you get stuck in one place, there’s no room for growth. So when you go to different parts of the world, every place is gonna bring something new into your life. A new experience, no matter if it’s good, bad or uncomfortable, a new experience is something that you can definitely build up upon and learn from. So you are discovering new things, which is only going to enlighten you even more. An open mind opens to new ideas, which is going to open new doors, which is gonna open new faculties of the mind. When we don’t travel we’re left with a very dominant brain; “There’s gotta be a certain structure, there’s gotta be a certain way.” When you travel you let that all out the window. It’s freedom. There’s nothing locking you up. There’s nothing locking you down. You are able to go and propagate wherever you need to. When you are mindful of that and you have a compassionate vibration around you, people feed on that, and you are able to make new friends, you are able to make new family. Thich Nhat Hanh says, that in everything there should be a meditation. Walking, eating , sleeping, talking, everything should be a meditation, so why not fuse all of the things that we love; traveling, running and discovering new things, and using that mindfulness and forming that all together. It’s a beautiful, beautiful thing. And how do you relate all of this to your upcoming project with Aire Libre? The more you experience new things, the more you want to experience new things…. I have never been to Mexico. Being in rural nature, being around mountains, being around plants that I’ve never envisioned, being around fruit and food that I’ve never tasted, being around indigenous people who want to share their culture, who I want to learn their culture from, it’s very exciting to me. It’s about just really soaking up another side of culture; I’ve been immersed in the eastern culture, I grew up in the west Indian culture, the Caribbean culture, and I’m constantly around so many different cultures. I’ve been all over and I’m very well travelled but this is a completely new experience for me. Going to Chiapas and hopefully one day to Oaxaca, for me is about learning and being able to use this knowledge. And at the same time having time and space change, and being in a different realm of time and space. Just being able to venture into a new habitat that I’ve never experienced before and running with some really great humans who are gonna teach me something new is just amazing and I can’t wait. Before passing on to the guided meditation, what advice would you give on how to incorporate mindfulness into their daily routines? So take at least 2 minutes to find some area to quiet the mind. If you can take anywhere from 2 minutes to 20 minutes and find somewhere in your house, in your office, in your building, where you are able to sit, stand or kneel, and to have the body fully relaxed, and close your eyes and be vulnerable to yourself. Being vulnerable means that you have to strip away the layers and just breathe and then just build on the layers from that. So just breathe and through there you will find Dharma. But it takes time and it takes practice. So, the first thing I would say is to find somewhere where you can be at peace for one a while. Once you find that feeling, incorporate that feeling into your running. And I would challenge you not to run with your earbuds, and with your phone, and just to run with nothing. And just hear the sounds. And use that mindfulness practice. The same mindfulness practice you would use in the house, in the office or in the park, use that same mindfulness practice in the run and see what happens. Hakim has studied and taught Eastern bodywork, in particular Shiatsu and Thai Yoga massage, since 1999, learning from some of the greatest teachers in the field of eastern bodywork. Currently, he is working with Dr. Michael Spino, author of the book “Beyond Jogging, the interspaces of running” to bring certain mindfulness techniques to the run community as well as working on a documentary and later on working on a book that will explore a little bit of everything, from running, mindfulness, veganism and spirituality. How Do You Describe A Trip That Has Changed The Way You See The World?